Let your smallest attendant shine in style with this sleeveless flower girl dress. 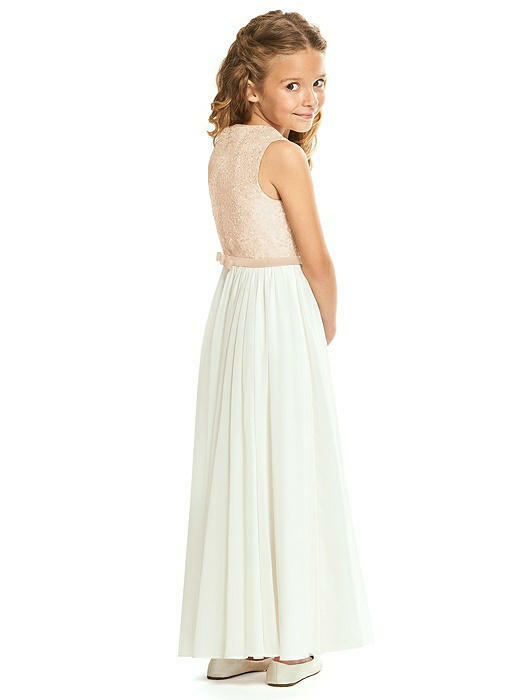 An elle sequin bodice and lux chiffon skirt bring elegant flair to a dress adorned with an ivory skirt and a ribbon waist belt that complements the bodice color. Fit Tip: The natural waist and bust measurement take priority for style FL4061. If you are over by an inch or two on the hip it is not a problem. There is plenty of extra room in the skirt to accommodate. 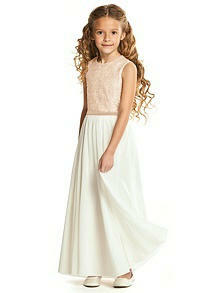 If you would like help choosing your size, please contact a Dessy stylist.